Der Artikel Paul Graener (1872-1944): Werke für Klaviertrio wurde in den Warenkorb gelegt. 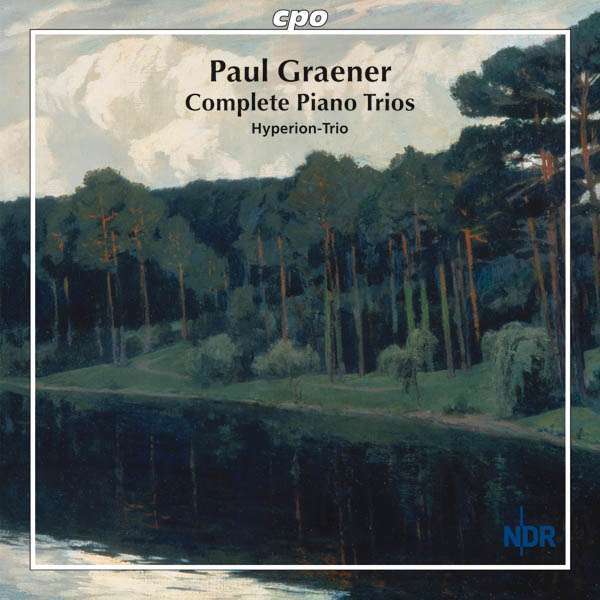 Paul Graener was the musical director of the Haymarket Theatre in London, director of the Mozarteum in Salzburg, professor of composition at the Leipzig Conservatory, director of the Stern Conservatory in Berlin, and a diligent composer who enjoyed moderate success. But he had also joined the Nazi party and the militant Kampfbund für deutsche Kultur in 1933 and was later the head of the society of composers within the Reichsmusikkammer. The early happy years enjoyed by him in London, both professionally and personally, motivated him to obtain British citizenship. He never renounced this status – so that in him we have the curious case of a British subject who held Nazi posts. It is thus hardly surprising that until recently musicians and musicologists have preferred not to venture too close to Paul Graener. His music nevertheless merits broad attention. It is anything but martial or nationalistic; it is the work of a late romanticist with a strong inclination toward French impressionism. And this makes him a unique case among German composers from the first half of the twentieth century. klassik-heute. de 03 / 11: "Sicher geformte Inventionen von bisweilen überraschend lebhafter melodischer Einsprägsamkeit." Hörprobe Track 4: Kammermusikdichtung op. 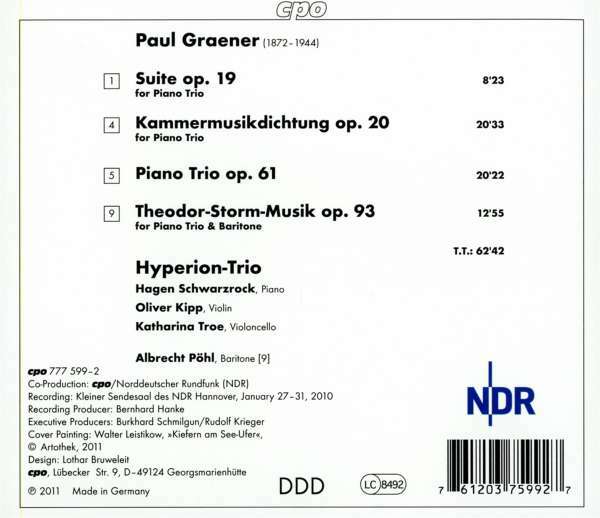 20 "Hungerpastor-Trio"
A nearly forgotten ,,composer on the political edge' wrote more than charming chamber music. Three hurrah's for the Hyperion Trio for the courage to present this cd. And now the string quartets!